By 2022, all Groupe Renault vehicles will be connected on the key markets, and 15 models will offer varying degrees of autonomy. The Group will also become suppliers of mobility solutions for one and all. 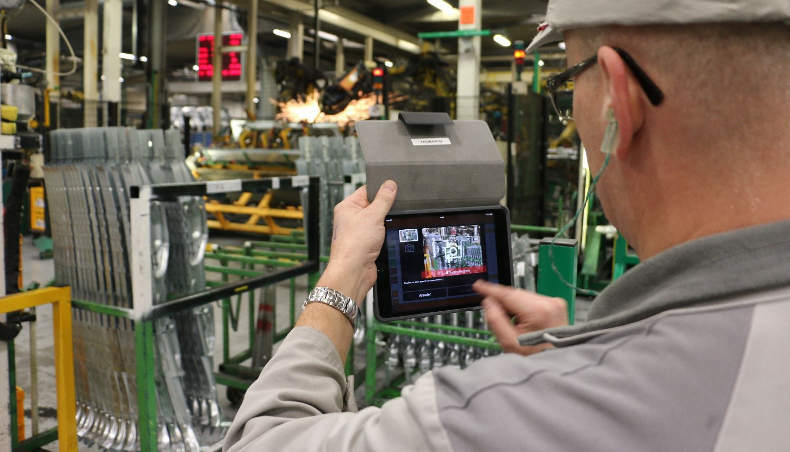 To innovate, develop and test these technologies and services better, Groupe Renault relies on Renault-Nissan-Mitsubishi synergies and seeks outside talents, as well. The second concept-car in Renault's 2018 trilogy of robo-vehicles, EZ-PRO represents the vision of the future of urban last mile delivery according to Groupe Renault. This 100% electric, connected, autonomous and shared concept car is intended for transportation and deliveries of parcels in cities. It is made up of two different components called pods, based on the same highly customizable platform on top to accommodate a great range of uses and formats. EZ-PRO keeps a field-based human concierge for special deliveries and driverless robo-pod fleet management. 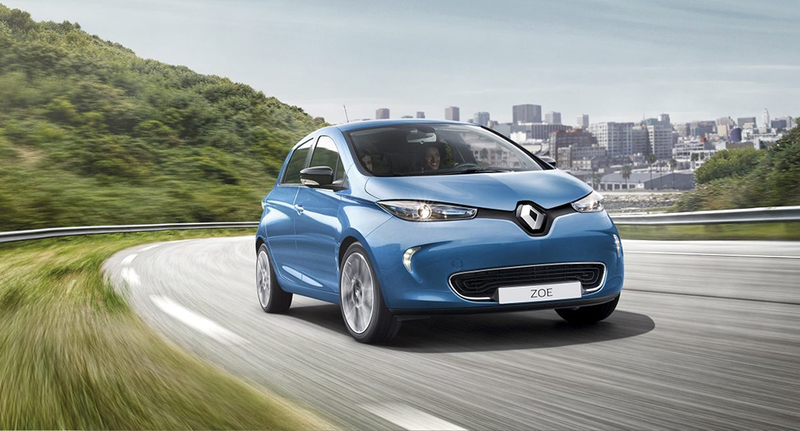 Renault EZ-ULTIMO is the third in Groupe Renault’s 2018 family of concepts focusing on autonomous, electric, connected, and shared urban mobility services. This all-electric, connected, autonomous robo-vehicle is intended to be offered as a service for a single trip, a circuit or a day booking. Available on-demand, EZ-ULTIMO is ideal for expanding premium offerings by travel companies and resorts, to enhance a special moment through a private trip in a city or a premium tourist experience. 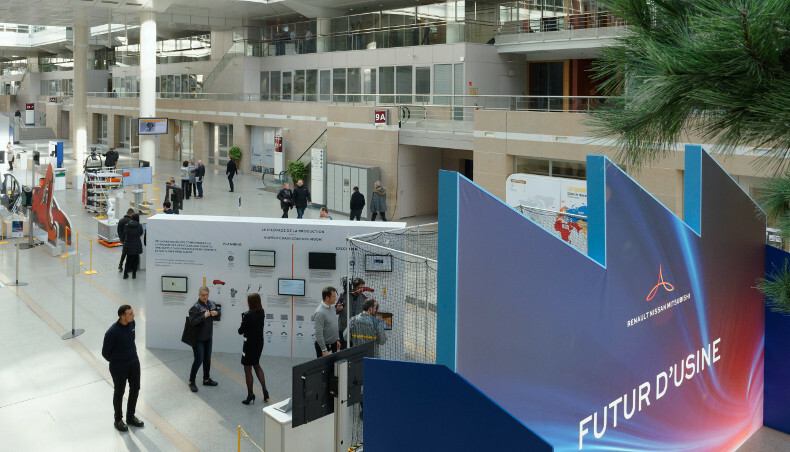 Groupe Renault’s work across the public sector to learn and engage with cities about future vision, its leadership position for electric vehicles in Europe, and its commitment to continuing to invest in innovative new technologies and services, help us smart cities. In 2018, Groupe Renault unveiled EZ-GO, EZ-PRO and EZ-ULTIMO, three robo-vehicle concepts that illustrate its vision of urban and shared mobility of the future. 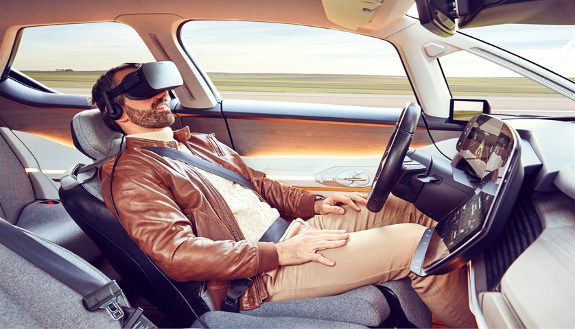 Technological advances in autonomous driving open up new opportunities for ways of using cars, especially new travelling experiences. The SYMBIOZ demo car is the first vehicle that has been designed for mind-off automation from the start. 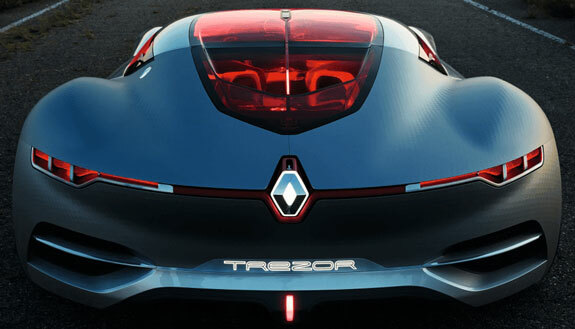 Unveiled at the 2016 Paris Motor Show, the TREZOR concept car was positioned as the rightful heir to DeZir. This two-seater electric coupe in the grand GT tradition marked the start of a new design cycle and blazed a trail for the next vehicles in the Renault range. 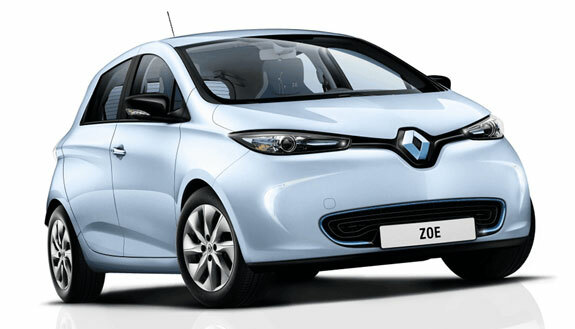 Renault made a bold, innovative leap with the ZOE in 1992. This car was the first mass-market electric compact car that the brand brought to market. It is now the best-selling model of its kind in Europe. Opened in 2011 in California, the Open Innovation Lab in Silicon Valley is an innovation hot spot. 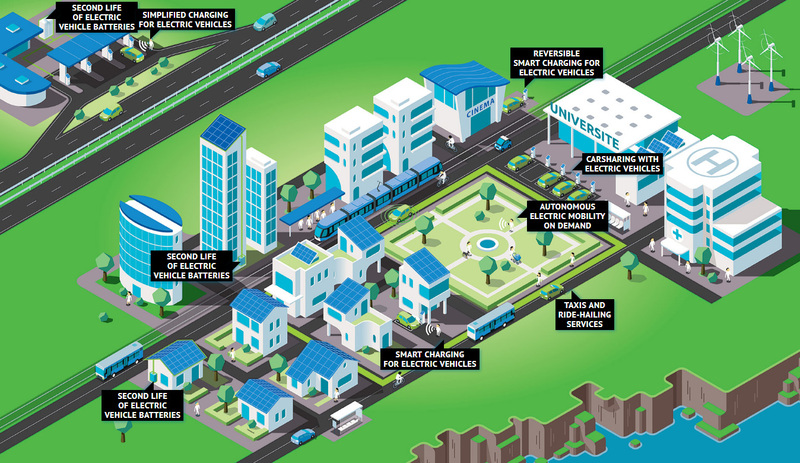 Located just minutes from the Google, Facebook, Apple and Amazon labs, this site turns the vitality of the location to its advantage, making it among the first to learn of innovations that could influence the vehicles of the future. Unveiled at the Paris Motor Show, the DeZir concept car embodies the renaissance of the Renault design strategy under the direction of Laurens van den Acker. It embodies the first stage (Love) in the life cycle at the heart of the strategy. 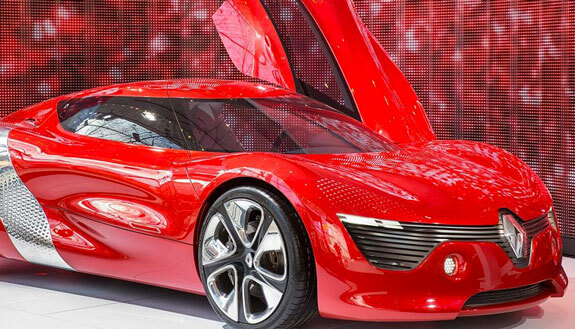 Twingo created a buzz as soon as it was unveiled at the Paris Motor Show. 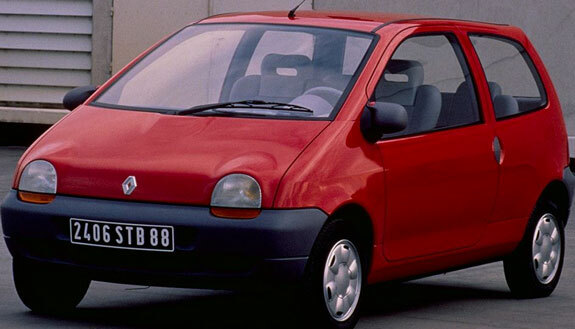 With its “froggy” face and design that combined elements of MPV and compact cars, the Twingo made quite a splash. Bearing a name that combines the words Twist, Swing and Tango, the Twingo was marketed to a young demographic, who quickly fell head over heels for it. 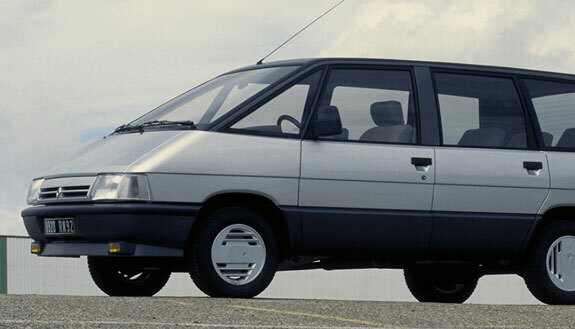 The Renault Espace generated a great deal of interest from the moment it was presented to the media in 1984. There was no guarantee that it would be a hit, however. At the time, no one had ever seen a vehicle that was so roomy and versatile. With five fully flexible rear seats that could be turned around to create a “living room”, Espace was both surprising and enticing. 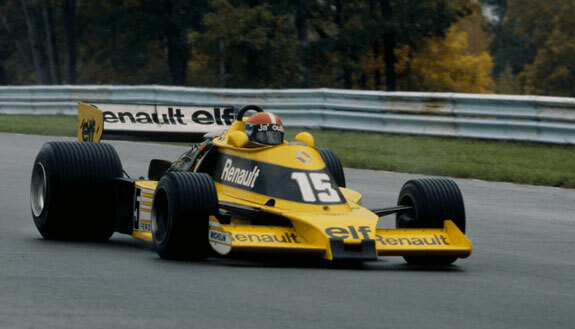 Renault revolutionized the world of Formula 1 racing in 1977 when it joined the premier class of motorsports with its RS01 car, complete with a turbocharged engine. From that year onward, Renault has been the one of the most decorated auto manufacturers in the sport. Launched in January 1965, the R16 was the first compact hatchback car to hit the market, a ground-breaking design for the time. Initially criticized for being too outside-the-box, the car ultimately became a hit through excellent word-of-mouth. Halfway between a station wagon and a compact, it was designed to “lead the way forward”, as the ad copy proclaimed. 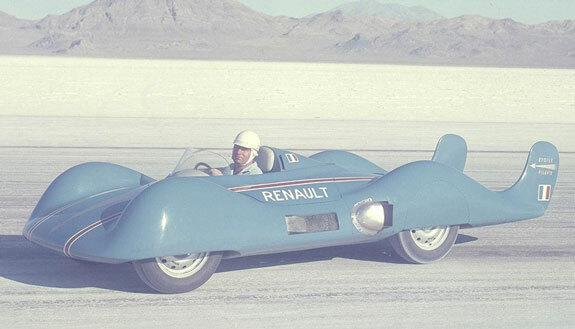 On September 5, 1956 Renault’s Etoile Filante set four speed records at the Bonneville salt flats in the United States. 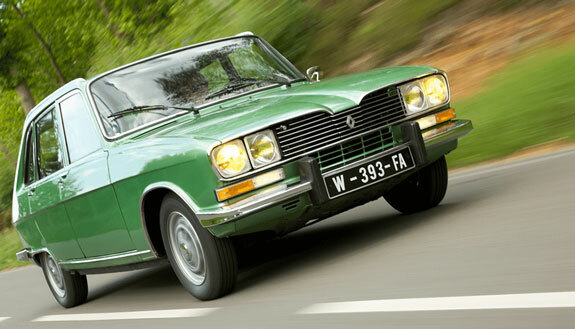 This feat, made possible by the car’s 270 hp turbine engine, cemented Renault’s pioneering reputation around the globe. 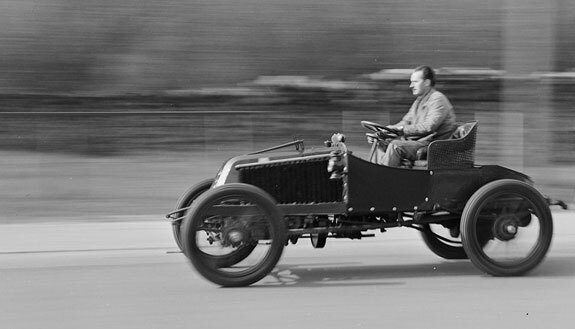 In 1902 Renault built its first two-cylinder engine, the base module for the four-cylinder engine under the hood of the light vehicle that Marcel Renault drove to victory in a race from Paris to Vienna. 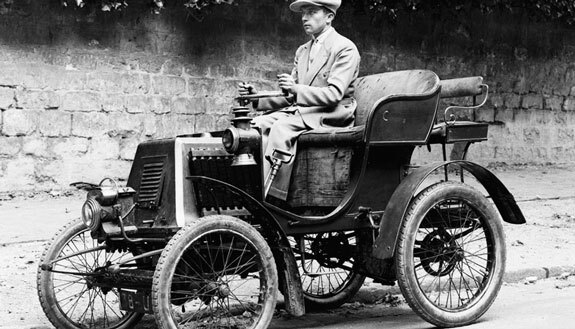 The history of innovation at Renault began on December 24, 1898 when Louis Renault drove up Rue Lepic in Paris behind the wheel of his Voiturette. The little car was fitted out with a revolutionary direct-drive transmission. He made his first 12 sales that very night.